Aleksandr I. Solzhenitsyn’s startling book led, almost 30 years later, to Glasnost, Perestroika, and the "Fall of the Wall". 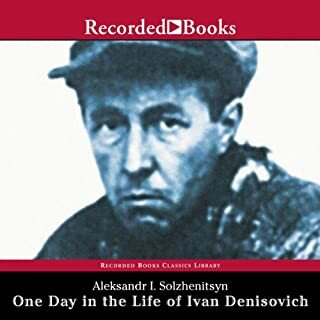 One Day in the Life of Ivan Denisovich brilliantly portrays a single day, any day, in the life of a single Russian soldier who was captured by the Germans in 1945 and who managed to escape a few days later. Along with millions of others, this soldier was charged with some sort of political crime, and since it was easier to confess than deny it and die, Ivan Denisovich "confessed" to "high treason" and received a sentence of 10 years in a Siberian labor camp. Thirty-year-old Josef K., a financial officer in a European city bank, is suddenly arrested. He is subjected to hearings, questioning, and visits from officials. Defending his innocence against charges that are never explained to him, he watches his life dissolve into absurdity. 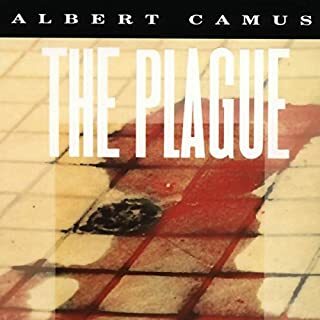 Whether read as an existential tale or a parable, this haunting story stands out as one of the great novels of our time. Breon Mitchell, a professor of Germanic Studies and Comparative Literature at Indiana University, has received national awards for his literary translations. 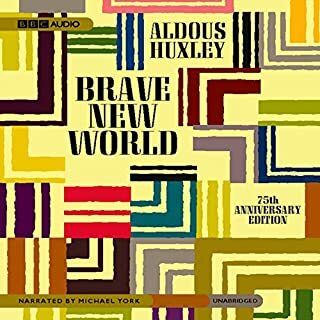 The renewed energy and power of this classic work are complemented by veteran narrator George Guidall's superb performance. What made the experience of listening to The Trial the most enjoyable? One of the most enjoyable aspects of the novel is the humor that Kafka injected into the story. As an example, the protagonist, Joseph K. is advised to meet with the court painter, of all people, in order to get a detailed explanation of the secret workings of the lower court hearing his case. After the painter provides Joseph K. with a long, absurd and incomprehensible explanation of the court proceedings, he manages to browbeat K. into buying three of his paintings which are exactly the same. This is very funny section of the novel. George Guidall manages to capture Joseph K's growing despair and resignation through his voice inflections. After spending months fighting against unspecified charges, convinced that he has done nothing wrong, an exhausted Joseph K. accepts his fate. I like this relatively new (1998) translation by Breon Mitchell. I checked it againt the restored German text and it seems to be much more accurate than the earlier translation by Willa and Edwin Muir. George Guidall, who is arguably Audible's best narrator. This recording really brings to life the nightmarish existence that Josef K. suddenly is faced with. The story itself has elements of paranoia and delusion. Josef K. is lured to play by invisible rules that seems to be almost logical. However, the overall setting is absurd. The Trial is a masterpiece that, even though it is set in a Fritz Lang-like pre-war setting, has much to offer modern day readers. I really don't know how to review this book. Every sentence, maybe every word, holds so much symbolic meaning and so much warning for the readers that it is a heavy read. It weighs me down just thinking about it. At the same time, it is a very important book, and one that should be read by anyone who considers him/herself well read. The book is translated from German, by the German author, Franz Kafka. It is frightening from the standpoint that the protagonist, "K," cannot make sense of what is happening to him, and nothing that he can do has any impact on his own life. He is innocent of any crime, yet he is arrested for some unknown offense which he never learns. The trial takes a whole year, but never amounts to anything concrete. Meanwhile, K is free to come and go as he pleases. He goes back to work, and tries to figure out some way of defending himself, but to no avail. Over the course of the year, his mental state deteriorates because of the uncertainty of his status and the hopelessness he feels because he has no control over his own life. I compare the book to "Alice in Wonderland" because nothing is what it seems. 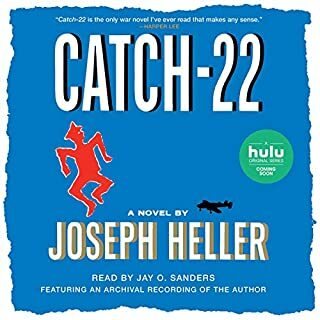 The ending is just unreal, and perhaps is a foreshadowing of what happens later in Germany during the Holocaust, another place where nothing is what it seems, and life stops making sense. It is a disturbing story, and one that could become a reality for any of us if we continue to allow our freedom to be eroded. That is the frightening part. 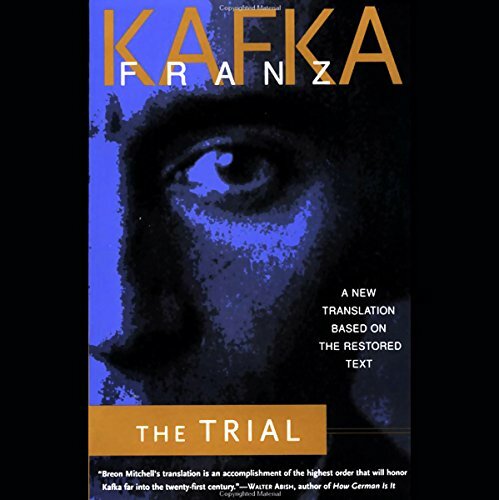 The last hour or so of this version contains discussion of previous translations of The Trial and also a few sections that never made it into the books. 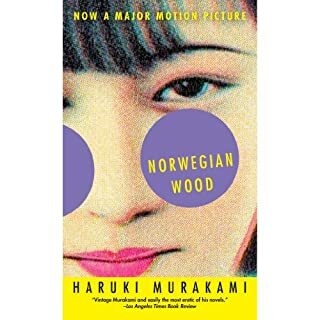 I think about how often this novel has been imitated, especially in film. So much of the imagery, scenery, situations, and nightmare-like qualities has been copied and parodied to the point that it's amazing the (somewhat pejorative) term 'Kafkaesque' actually has any meaning at all. Yet even though some of these bizarre images are well known to us now, they are nevertheless still as powerful as they were when Kafka fever-dreamed these words onto the page. And the reason why is that you have to experience this novel as a whole, get caught up in it, go on trial with Joseph K., and judge him page after page. The spell is in the words, in the way Kafka immediately arrests you in the very first sentence of the novel and never lets you go. 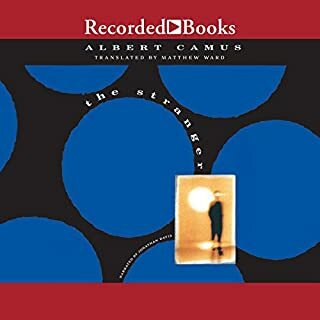 No homage or parody even comes close to conveying the frightening paranoia, the claustrophobic closeness, the gloomy heat and fog, the grinding and wearing down of K (and us), the confusion, and the logic that has no logic. Of course Kafka wasn't onto anything exactly new; bureaucracy and all the complaining about its red tape goes back as long as there has been a civilization. But what Kafka does bring new to the table, a table set by Gogol, waited by Dostoevsky, and later cleaned up by Solzhenitsyn, is describe the insidious hilarity of the proceedings of modern life. Gogol, in Dead Souls and The Overcoat, saw the absurdity in the bureaucracy of 'the system'. Dostoevsky saw how the man was judged by it, and Solzhenitsyn experienced first-hand the oppression of 'the system'. Where Kafka fits neatly in is that he predicted how those in power could obfuscate what the rest of us took for granted as a clear and moral system (the law) and pervert it towards their own end. Gogol's hero in Dead Souls merely took advantage of a loophole but wished to make good on the deception, he wasn't out to hurt anyone. 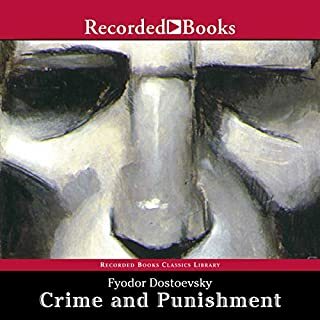 Raskolnikov, in Crime and Punishment, was guilty as hell and the system used cunning, clever and a big stick to get him to admit his crime, but the law was still just even if it was oppressive. Solzhenitsyn (Ivan Denisovich), was innocent, but Kafka had foreseen the future where the guilty were all innocent (and in charge) and the innocent were all guilty (and powerless). Kafka bridges the gap not only through art and literature, but in reality, too. But Kafka does much more than his comrades; he manages to capture much more than a snapshot of a system gone bad, he captures the irrationality, the total labyrinthine and convulsed logic of the gatekeepers, and the out-of-control nature of the machine. 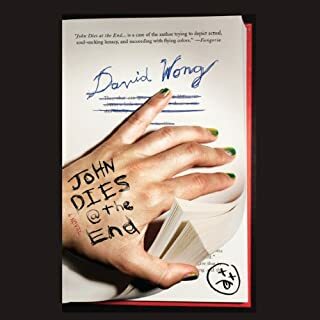 No other writer has been able to capture the very feeling of a dream, to hold together a series of disjointed ghosts that connect in a foggy logic that totally falls apart the moment you wake up. And that's what Kafka was hoping for too, he wanted the reader, and to a greater extent, the entire world to wake up from the nightmare. Yet that was not to be, and he was never that optimistic. He understood that even those who were in power were totally helpless against the system anymore. Nobody is in charge of the system because the system runs itself. The best way to explain it to modern readers is to imagine the recent financial crisis and how impossible it has been to actually figure out whose fault it all was. The homeowners blame the banks because the banks gave cheap, poorly vetted loans. The banks claim they did nothing illegal and were only providing for their customers who wanted loans and whose paperwork was, legally, in order. Besides, the people who own the banks were, in fact, the homeowners who had 401k's and stocks and other financial products in the banks that were in everyone's best interest to continue out-performing last year's numbers. And the lowly bank clerk would not turn down a loan because he was afraid he'd lose his job for not making quota - and same for his boss. And the men at the top? They had to keep reporting to the share holders who demanded better returns. And on and on and in a circle and nobody was to blame because it was all out of control by slight degrees. And that's what Kafka was getting at here in the Trial. That's why the Trial was not a legal proceeding in the way we understand it, but a social one, a trial of one's own character, a trial where the only was to be declared innocent is to admit you are guilty because we are all guilty of one thing or another. It's like littering: one person tossing their coffee cup out their speeding car window does not make a major difference, but 100,000 drivers doing it one just one highway everyday for 10 years makes a huge mess. Oh sure, YOU might not be the problem because it's all those other people, but we are all the straw that breaks the camel's back. We twist our own knife, either by never taking responsibility or by never changing the system, hard as that may seem. Yet if there is any doubt how terrible it can all turn out for each of us, look no further than Solzhenitsyn who suffered so much in the Gulag, or even Kafka's own family just a few years after his work was published - they all died in the concentration camp. Who stepped in to change those systems? Nobody. And they couldn't help themselves, they were truly innocent, but the world sat on its hands and did nothing. We were all guilty. And we will be guilty again, too. We may never see concentration camps and wars like the 1940's again, but we still live in an absurd world with absurd rules and we don't really struggle against it too much because we've learned to be complacent, we've learned to sit on that stool next to the door and let the doorkeeper keep us out solely because he said we cannot enter. 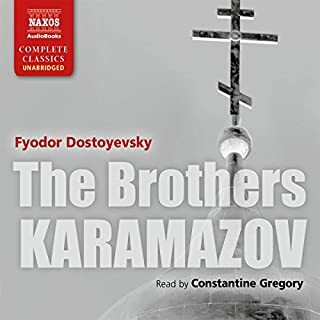 One final thought: like Dead Souls, this novel is also an unfinished work and though it would be impossible to predict what Gogol or Kafka would have accomplished had they finished their masterpieces, the way they are left to us seem almost more complete than had they had been all wrapped up with a nice ending. I like that there is no real resolution, or, at least in The Trial, I love the disjointed nature of each scene, how characters come and go and how one thing that is important on one page is utterly forgotten on the next. It's as imperfect and incomplete as the world we live in. If you don't submit to the endless bureaucracy life throws at you then you will be killed. At least they offer you the chance to kill yourself first though, they're not savages! No novel will ever approach THE TRIAL in giving one a special and necessary appreciation for our legal criminal system and our Bill of Rights. Gripe if you will, but imagine you are charged with a crime tomorrow, but no one will tell you what that crime is, what criminal act you committed, who accused you, who or what was harmed, or when your trial will take place. Then, when you talk to court workers and even your own lawyer, it's a foregone conclusion that you will be found guilty and your best hope is to drag out the process as long as you can just to STAY ALIVE on this crazy train. A historic, nightmarish novel that plants in its reader bad-dream seeds that may not germinate for years, but they will. Oh yes, they will. At first I was worried I wouldn't find this book interesting but I couldn't have been more wrong. It was completely gripping, thought-provoking, and terrifying. It was written about 100 years ago but it is so relevant it could have just as easily been written last week. 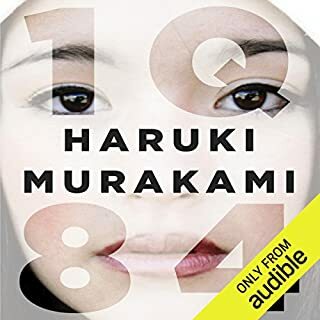 If you like dystopian novels I would recommend, even though this is not explicitly dystopian it definitely reads like it is at moments. It also made me appreciate the United States Court System despite how flawed it is at times. I highly recommend this book. 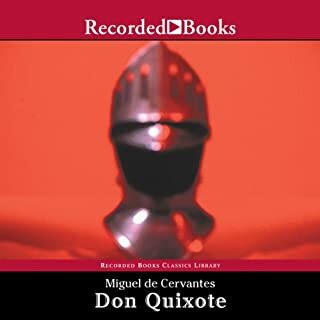 Classic book with a great narrator. I hadn't realized that the book was so funny. 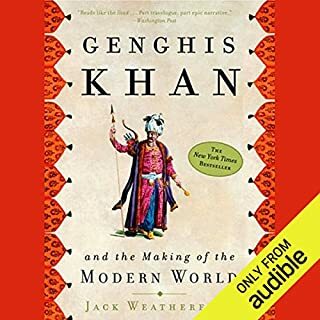 To listen to this book seems to be an exercise in futility. Certainly this lacks credibility and intrigue.